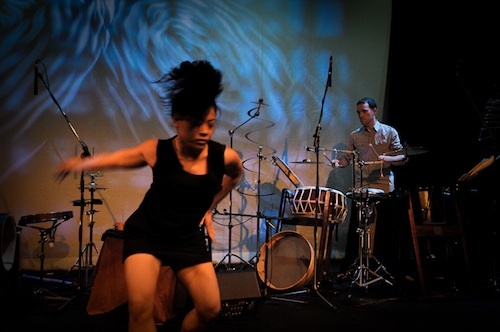 Rheō - the Greek root of 'rhythm', also meaning 'flow' - is a project that blends the eclectic stylings of three musicians and a dancer, demonstrating outstanding talents for improvisation and dialogue. 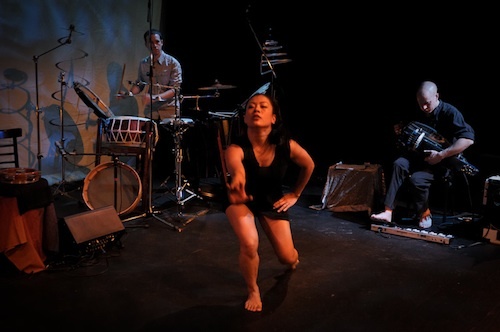 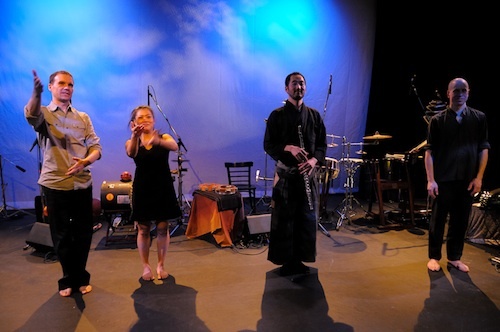 Prodigious Montreal-based multi-percussionist Patrick Graham is accompanied by Ben Grossman's (Guelph) electro-acoustic hurdy gurdy, the Japanese and western flutes of Kaoru Watanabe (New York), and choreographer and dancer Tomomi Morimoto (Montréal). 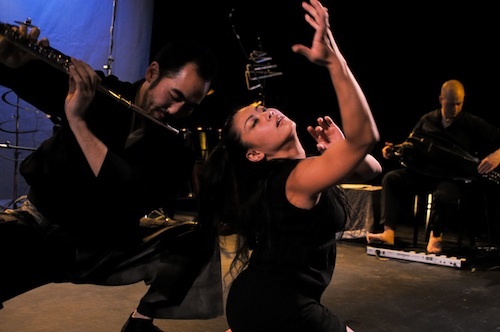 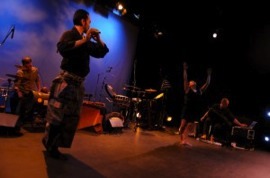 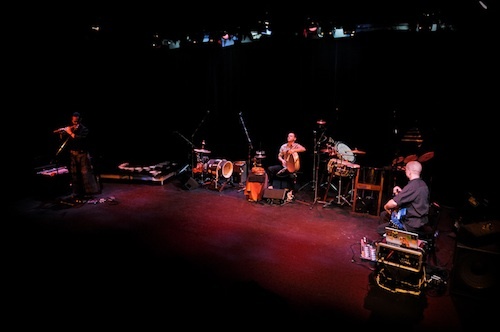 They use traditional instruments to delve into more experimental soundscapes: hurdy gurdy and bamboo flutes merge with Japanese, Indian, Irish and Mediterranean percussion. 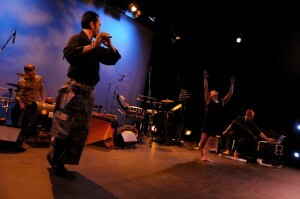 Contemporary dance echoes this fusion of elements by extending the rhythms into the realm of movement.